This month, Admap explores frequency management. Jeff Meglio, VP of Agency Partnerships, Sovrn, explains why quality matters more than quantity. Marketers are reluctant to employ frequency capping in programmatic advertising as the practice goes against their fundamental drive for campaign scale. But when over-exposure to advertising pushes the boundaries of acceptability for consumers, it’s time to step back and think again. Quality takes precedence over quantity and marketers who make effective use of frequency capping will enjoy the long-term benefits of consumer engagement and brand loyalty, while making more efficient use of marketing budgets by achieving more reach with the same ad spend. Marketers traditionally see campaign success as delivering as many impressions to the target audience as possible. But with programmatic this approach can result in consumer irritation. When marketers use multiple DSPs, or when users access the internet via numerous channels and devices that each create an individual ID, consumers can be bombarded with the same message over and over again, damaging the user experience and their perception of the brand. Consumers aren’t shy when it comes to expressing their frustration with irritating advertising, with one in four internet users choosing to block ads altogether, but frequency capping can help minimize annoyance and improve user satisfaction. Relevancy, frequency and consistency are the three factors that most impact ad experiences, according to a report from CMO Club, with more than 70% of CMOs believe frequency capping can limit ad fatigue. In addition to preventing damage to brand reputation, frequency capping can also help marketers allocate budgets more efficiently. A study by the Advertising Research Foundation reveals the value of repetitive impressions served to a single user starts to decline after a certain point; actually having a negative impact on sales in the extreme situation that a banner ad reaches a user 40 times in a month. Marketers are wasting ad spend on ineffective advertising that can ultimately have an adverse effect on campaign performance. Implementing frequency capping empowers marketers to make better use of their campaign’s valuable resources by redirecting impressions to another consumer in the target group once the limit is reached. Because a greater portion of the target audience is exposed to the campaign and consumers are more engaged, frequency capping improves reach and effectiveness without increasing advertising spend. What’s more, frequency capping allows marketers to further increase efficiency by spreading spend throughout the funnel. Advertising budgets are often blown at the product research stage to increase awareness – after all, consumers can’t buy from a brand they don’t know about. But this approach neglects other vital parts of the funnel where budget could be put to more effective use. By introducing frequency capping at the product research stage, marketers can free up budget to be spent further along the path to purchase. Frequency capping limits the number of times an impression is served to the same consumer by using unique identifiers that recognize the user across multiple platforms and devices. The challenge for marketers is to find the right limit; the sweet spot where a consumer is exposed to an ad frequently enough for effective brand recall without over-sharing. The level of the cap must be adjusted depending on factors such as audience and timing, which requires continual monitoring and fine-tuning to achieve optimal results. Frequency capping is no short-term fix, but when properly implemented it brings long-term benefits. To execute on frequency capping and serve ads to more consumers less often, marketers will need to extend their reach by accessing a wider pool of premium inventory. This access can be achieved by working with supply-side platforms that offer both precision targeting and scale, providing marketers with first-look access to premium inventory and valuable audiences through strong relationships with high quality publishers. Frequency capping may seem counter-intuitive to marketers focused on achieving campaign scale, but bombarding consumers with the same impression over and over again is counter-productive. By finding the sweet spot between necessary frequency and over exposure, marketers can avoid irritating audiences with ineffective advertising and make their budgets work harder, successfully increasing both reach and engagement. 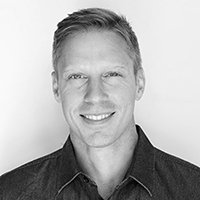 Jeff works directly with global advertisers, agencies, and trade desks to help them discover and access Sovrn's community of brand safe independent publishers and their highly engaged audiences across programmatic platforms.